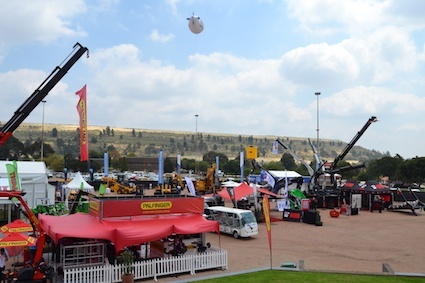 The third Bauma CONEXPO Africa was held in Johannesburg, South Africa, in March of this year. Despite the difficult economic situation in southern Africa, it attracted a healthy spread of local, pan-African and international exhibitors and visitors. The exhibition could set to herald an economic resurgence in the construction, building, demolition and mining industries. 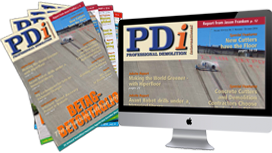 PDi Africa editor Kevin Mayhew reports. 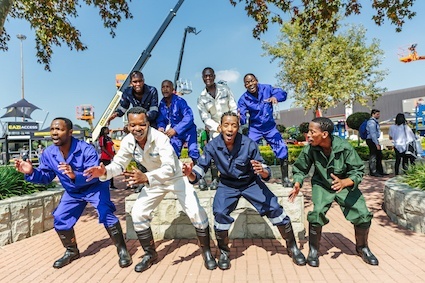 Bauma CONEXPO Africa is considered to be Africa’s premier ‘construction’ industry trade show, with the latest being inadvertently held in the wake of tumultuous political events in South Africa. Although widely perceived as ‘good news’, the main occurrence was the resignation of South African President Jacob Zuma. This is of direct bearing to the generic construction industry as Mr Zuma has been implicated in corruption, particularly within state owned enterprises (SOEs), which are major drivers of demand for machinery and services in the sectors Bauma CONEXPO Africa caters for. This optimism at the show was, in part, based on a belief that there would be more accountable government and a genuine reining in of corruption within both the public and private sectors. This should have a dramatic effect on foreign investor confidence in South Africa’s industrial, mining and construction sectors as well as government spending on capital projects. At the official opening of the show all the speakers, who included the German Ambassador to South Africa, Lesotho and Swaziland, Martin Schafer, expressed how this could be a new dawn for the continent’s dominant economy. South Africa acts as an important gateway to the southern African countries that form the Southern African Development Community (SADC) region. The chief executive officer of both local organising company BC Expo South Africa and Messe München South Africa, Elaine Crewe, said that the previous situation in South Africa had made some international exhibitors reluctant to be present. She however stated that she is sure that the new optimism, following the recent changes and the boost therein to market sentiment, would create a wave that augurs well for the next economies of the region and with it the show in future. 454 exhibitors from 34 countries occupied the 68,000m2 of internal and external floor space at the Johannesburg Expo Centre. Embracing the new found optimism, the exhibitors were visited by 14,167 attendees to the exhibition between 13 and 16 March. Only 13% of its visitors were from the host country, with the top five African visitor countries being Zimbabwe, Kenya, Botswana, Mozambique and Namibia. North American participation was significant both regarding exhibitors and visitors. European Union members, including Poland for the first time, were also well represented. Great Britain, which of course is soon to exit the powerful European Union, had a strong presence. This was hardly of surprise, as following its decision to ‘go it alone’, a strong emphasis has been placed on dealing directly with its former colonies in southern Africa, amongst others, and seeking trading arrangements outside of any that exist within the British Commonwealth. From further afield, visitors from Chile, Israel and Turkey were present, with Singapore also having its first stand at the show, underscoring the importance of the exhibition in the region. The strength of the Chinese and Indian presence indicated the growing importance of the two countries in Africa, which are also fellow members (along with South Africa) in the Brazil, Russia, India, China, trading bloc known as BRICS. Their participation was significant when set against that of the powerful Western economic blocs, as they are now true competitors for the mineral riches and market possibilities found within Africa, which is perceived as the emerging giant in world economics for the next decade or so. The next Bauma CONEXPO Africa, staged by Messe Munchen and the Association of Equipment Manufacturers (AEM), will be in January 2021.